Hey there! Hope you are having a nice weekend! Today I have another collaboration. 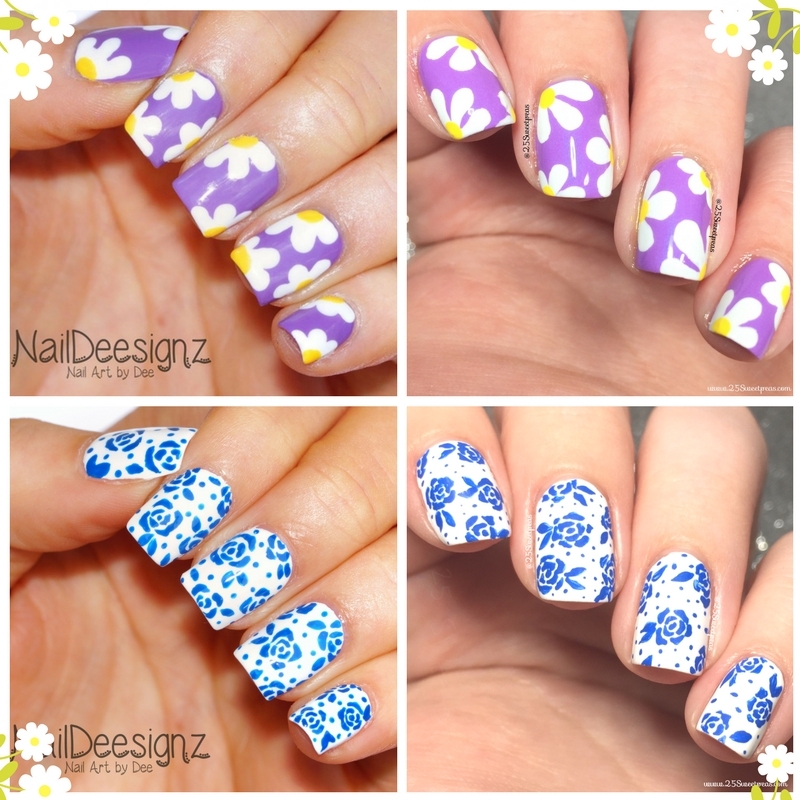 Today its a mani swap with NailDeesignz. So I did one of her manis and she did one of mine, and today I am recreating this one. So lets take a look at all of this! I used China Glaze Lets Jam from last years summer collection! Its a lovely light yet bright purple that has a slight shimmer. 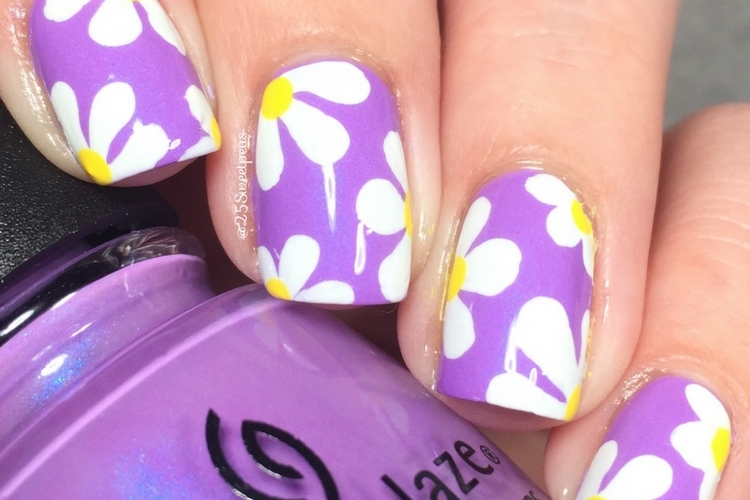 This is one of my favorite formulas that China Glaze has come out with in the past few years. A nice smooth application with a great pay off. This one in particular is 1-2 coats depending on how thick or thin you do each coat. I am really happy with how they came out! So happy and cute plus summery/spring like! Totally puts a smile on my face. Aw, these are so adorable! Your recreations look amazing- you both did an awesome job! They look nearly identical. Thank you! They really do look identical! May just be one of the best Mani swaps I have done!